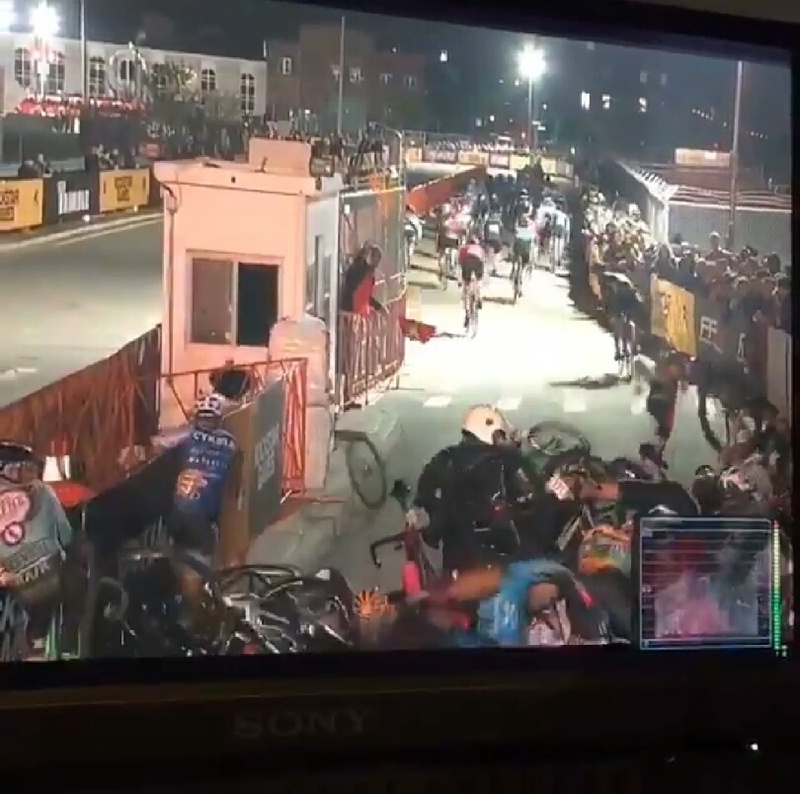 Colin Strickland’s dominant win, and Ainara Elbusto triumph at the Red Hook Crit (RHC) was overshadowed by an explosive crash involving yet another motorcycle. 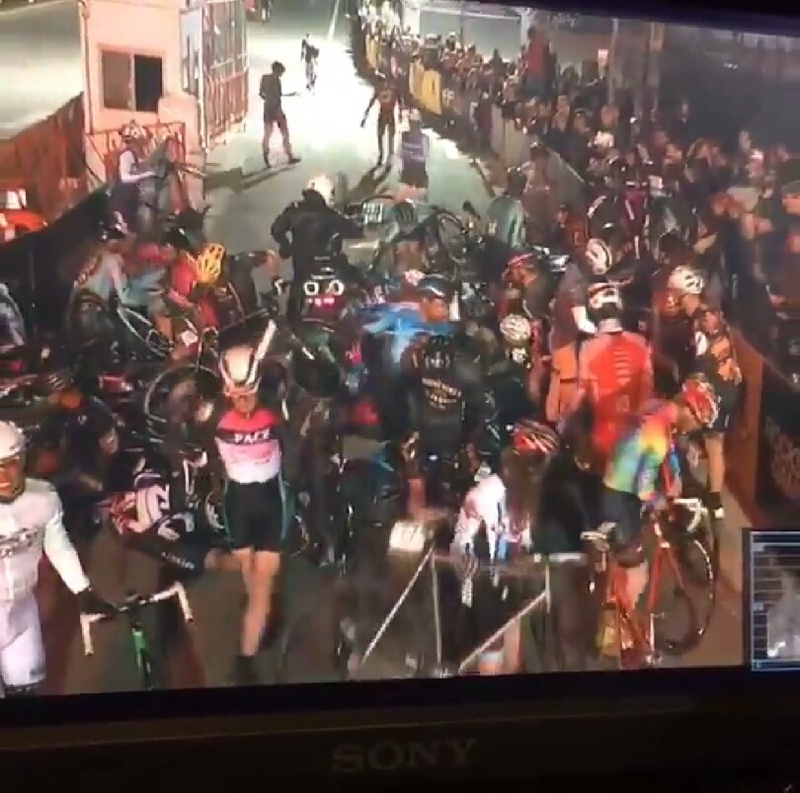 Thankfully, at this time, there have been no reports of any serious injuries from the mens race, but as the following videos show, it could have been a very different story. WARNING: the following videos and images are not for the faint hearted. 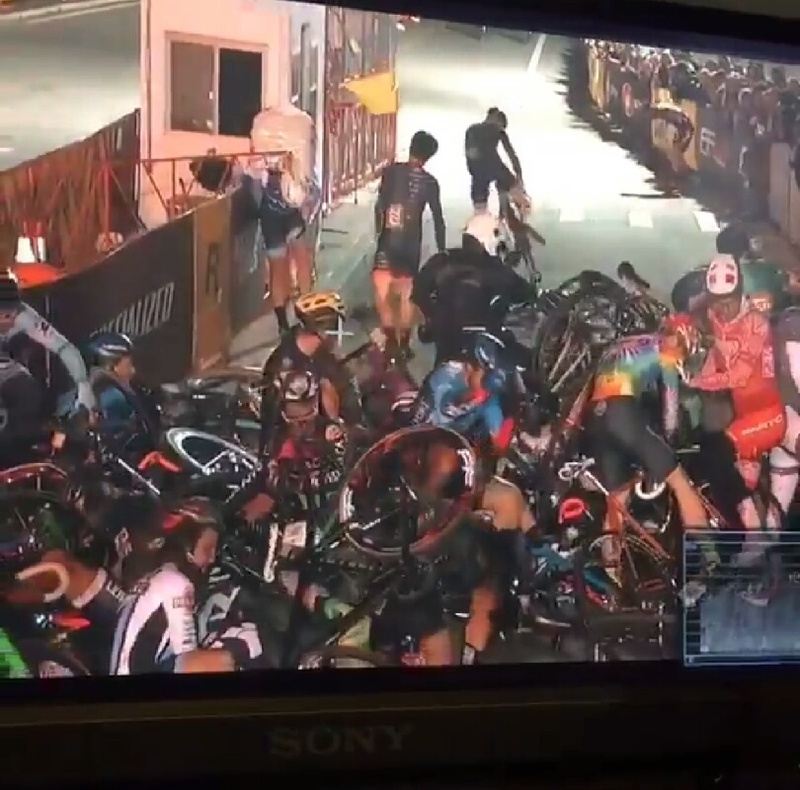 Front facing race-camera shows the carnage just moments into the race. 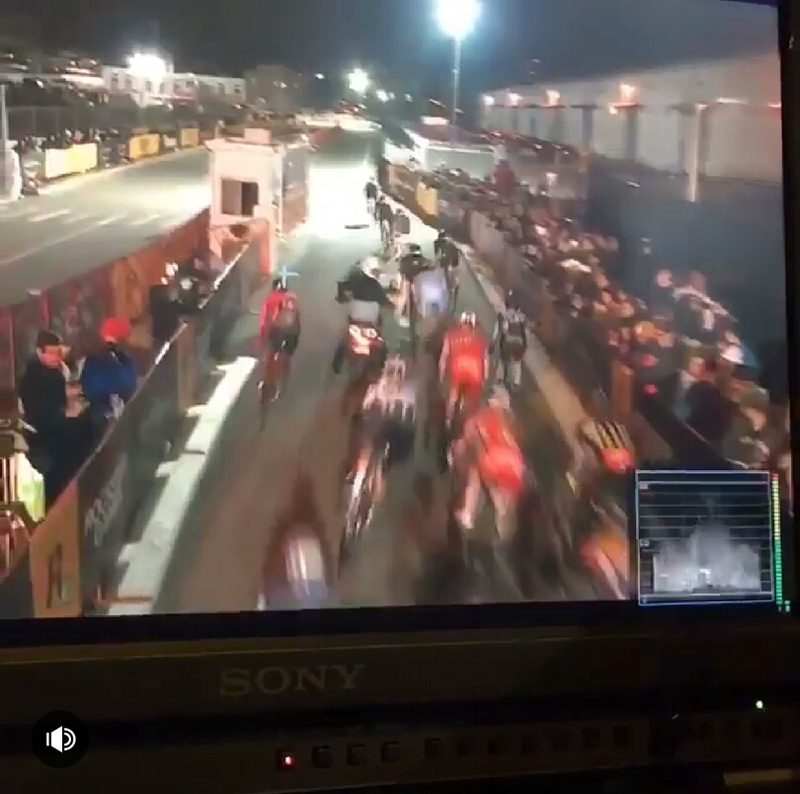 The Brooklyn RHC is in it’s 9th year, and has established itself as one of the premier criterium championship races, leading to further events being held in Milan, Barcelona and London. And making it an almost international race for the most experienced fixed-gear racers. Quiet rightly the focus of the evening was on Strickland’s win and the endeavours of all the teams, both mens and womens, taking centre stage. 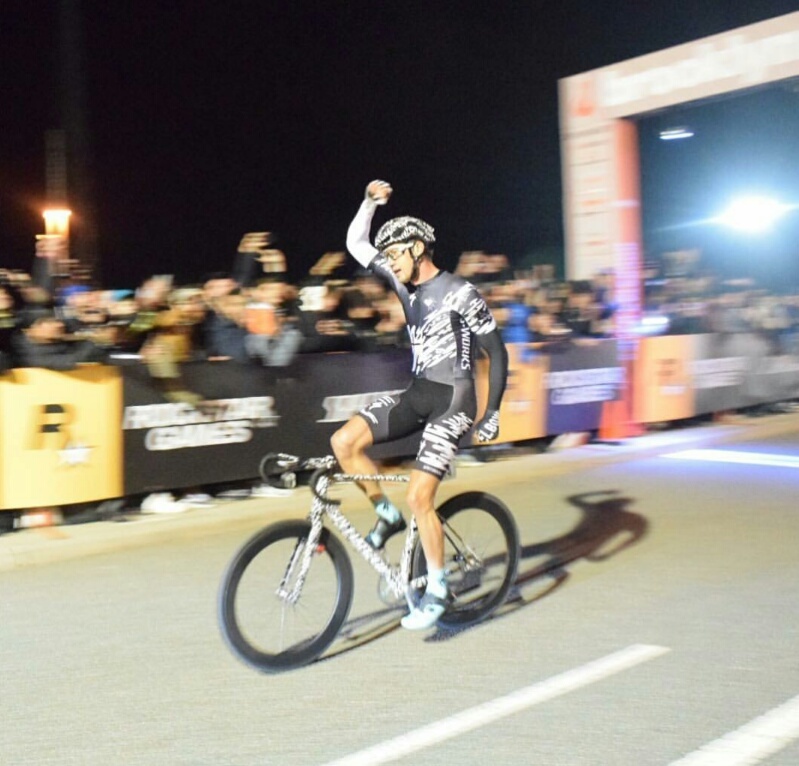 With Colin Strickland’s crossing of the finsish line up to 30 seconds ahead of his nearest rival, it was one for the record books. These individuals and teams can take up to year or more to organise and train together. Their setup and strategy can be lost at the roll of a dice or won by clear thinking and great form. 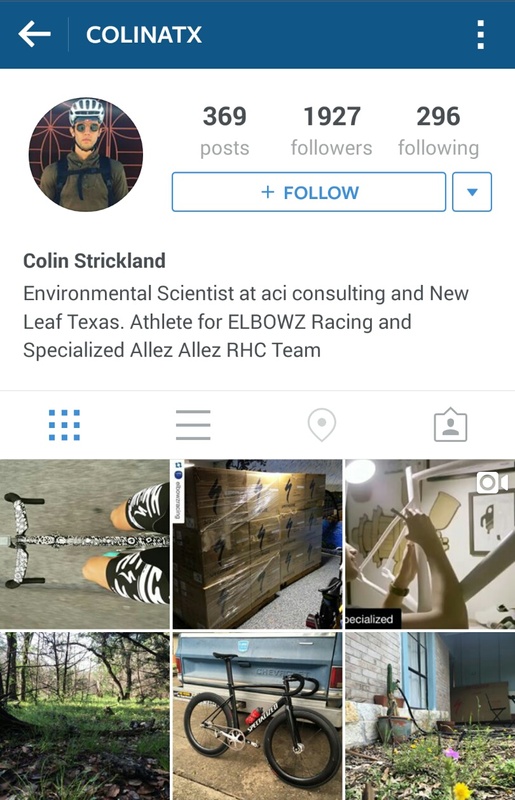 Strickland from start to finish. Really, again? From another angle, it seems that the lead out motorcyclist has trouble with his vehicle. It seems to have stalled. In the first instance, the racers at the front can see what’s going on and successfully pass the driver. 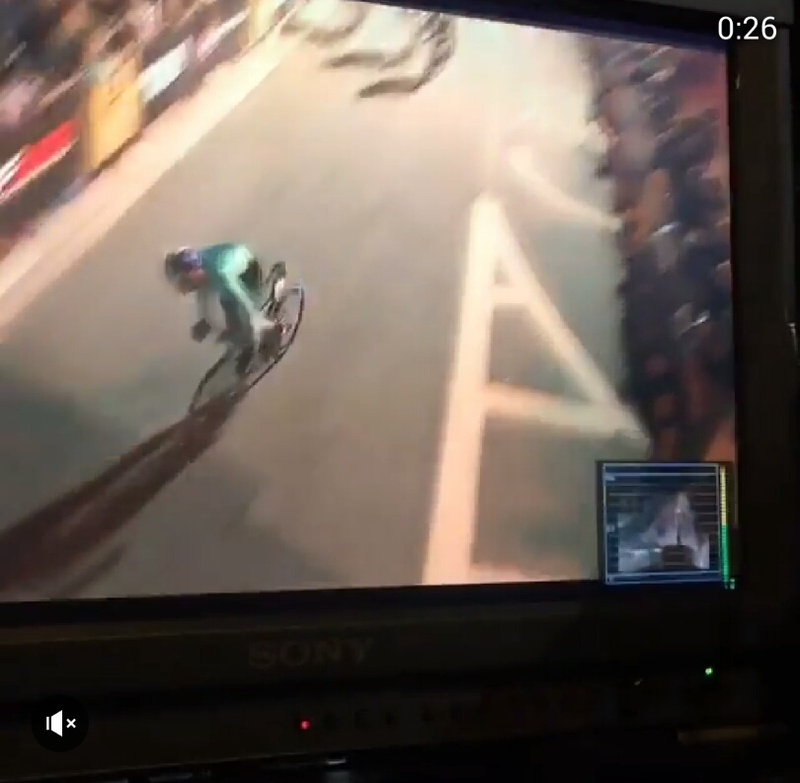 However, as the pace picks up, the unavoidable happens, and a rider clips the driver on the left. It’s like a set of dominoes – it all falls down. 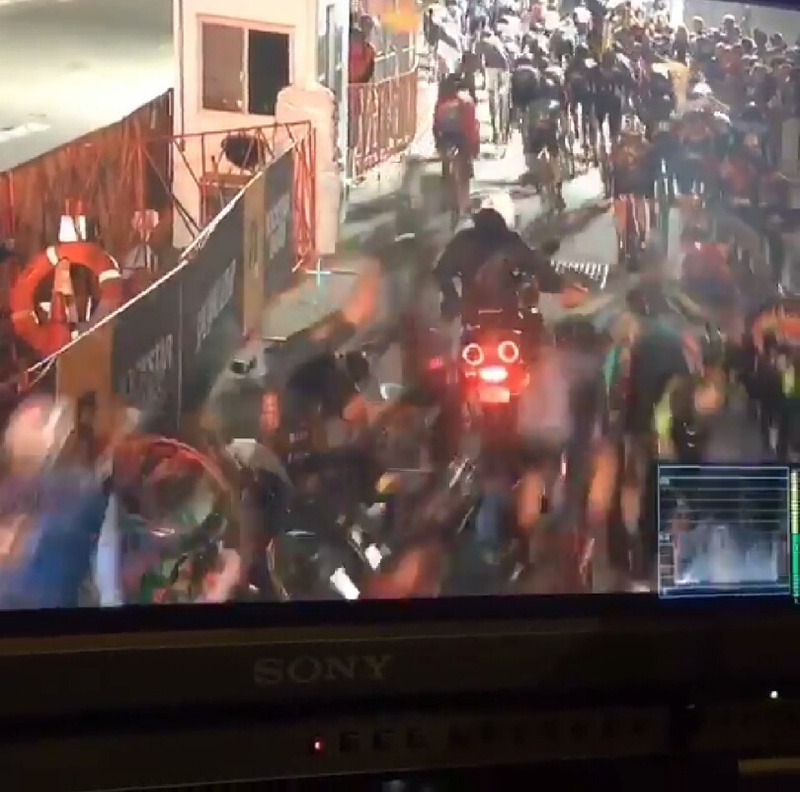 The stills show how a group avoid the motorbike and rider, but the inevitable happens. Some walk away unscathed, but there are those who are clearly hurt, and some remaining under the carnage of humans and bikes. It’s unclear what the motorcyclist could have done at that moment. It went so fast. 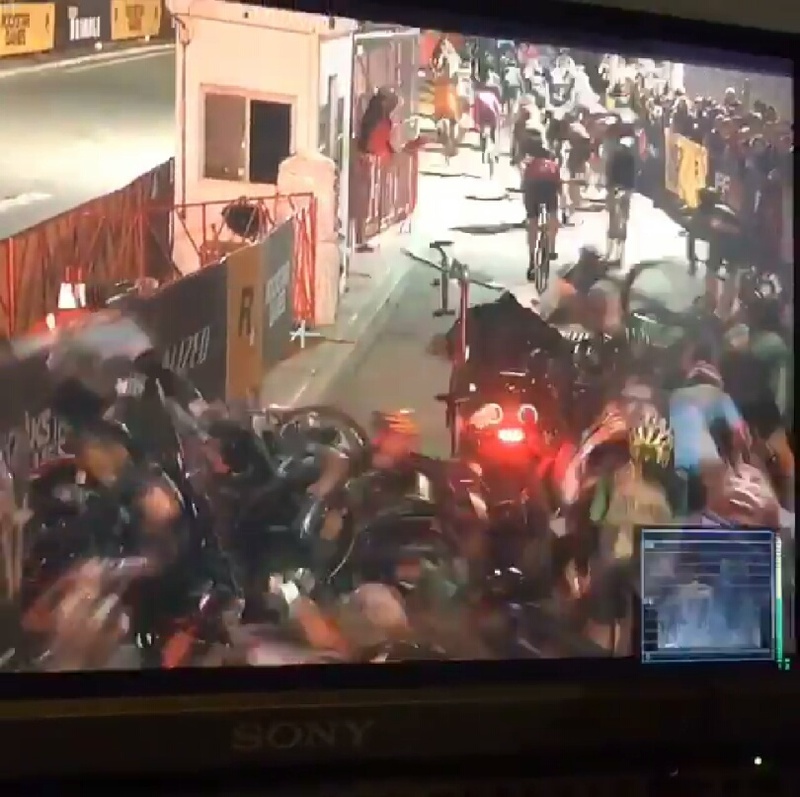 Could he have got off quickly enough to run his vehicle off to the side, out of harms way, or even flagged the racers to warn them of the danger? And are there systems in place when these things happen? Just a month before, Belgian rider, Antoine Demoitié sadly passed away after being hit by a race-motorcycle at Gent-Wevelgem. There are now calls to regulate ‘safe distance’ practices amongst motorised vehciles. By the way, in a separate circumstances, you may have heard that Daan Myngheer (another Belgian racer) also passed away during a crit-race due to a heart attack. Shocking, yes, but why isn’t anyone helping, and where on earth are the emergency services? The RHC returns to London on Sunday 9 July 2016. It was an amazing event held by the Olympic Park, drawing thousands to enjoy the summer evening. 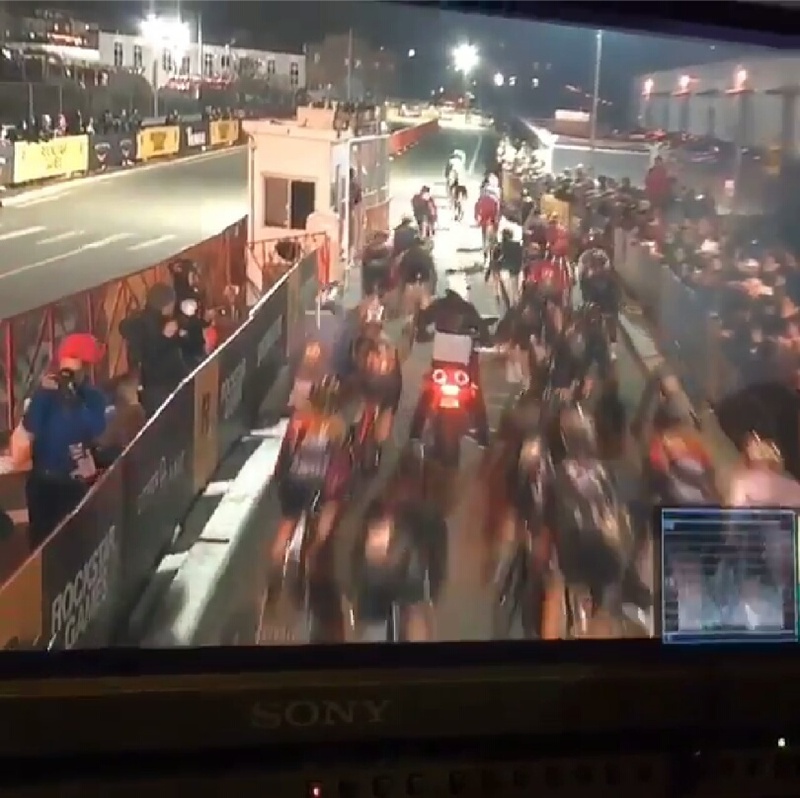 We didn’t see a motorcycle on the start line there, and perhaps that’s a good thing. 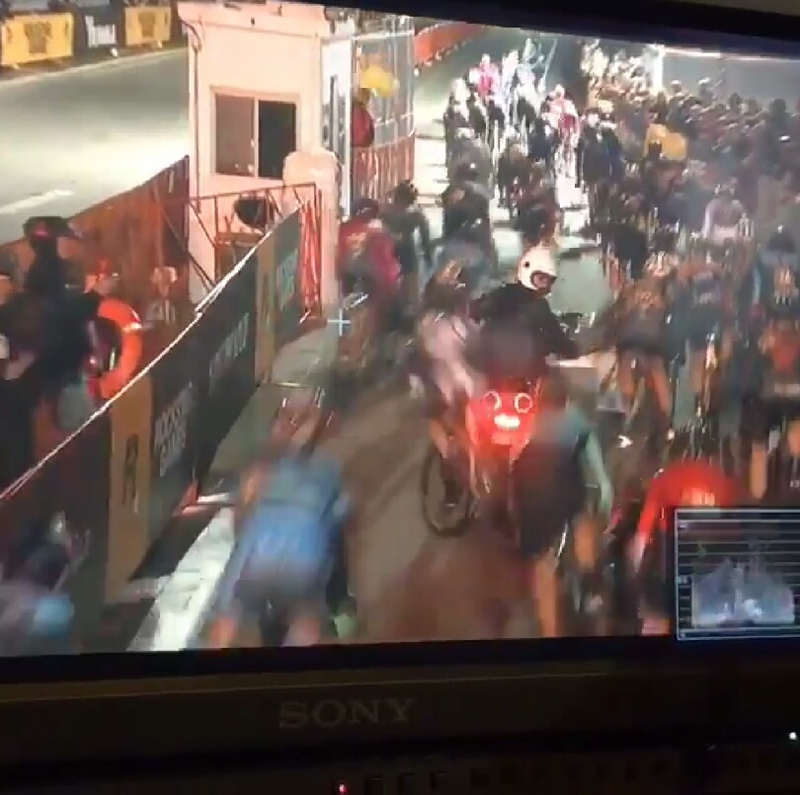 There’s plenty of on the scene professional photgoraphers, and sports-video cameras onboard the bikes to keep us smiling. Plus, seeing the racers whizz pass with your own eyes, gives the true nature of the skill and courage of these individuals. See you at the finish line! More on the RHC 2015 | Images from RHC and Colin Strickland.